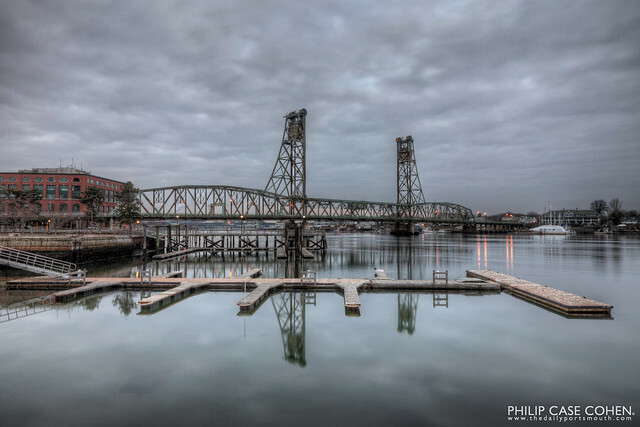 Two of my favorite places in Portsmouth: 1) the public docks at Prescott Park and 2) the Memorial Bridge. The calmness of the water this morning was just awesome, and the reflection of the bridge on the river underneath the puffy cloud covered sky was enough for me to try and capture the scene. It’s great to have an inspiring start to the day…I should get myself out of bed more often…harder though with the intense cold that’s found its way to NH lately.